This program was written by Derrick Sobodash and is the latest/last version that has been publicly released. It will tell you that it has created the patch just fine. 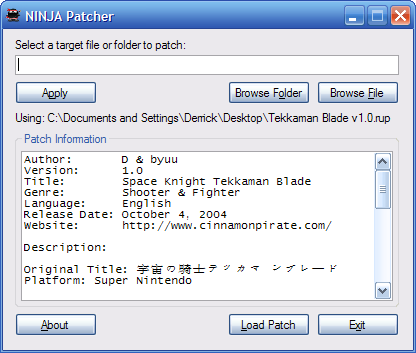 So… for applying patches, Ninja is awesome. If you want to CREATE patches, then just be aware that all the meta-data fields are REQUIRED when you create your patch.